Baby corn Fingers is an easy to make Starter/ Appetizer. Can be served as a snack or side dish with rice and curries or with variety rice. Outside is crunchy and the inside is soft. Super easy dish to be prepared in minutes without much pain. Kids love this dish because of the shape and taste. 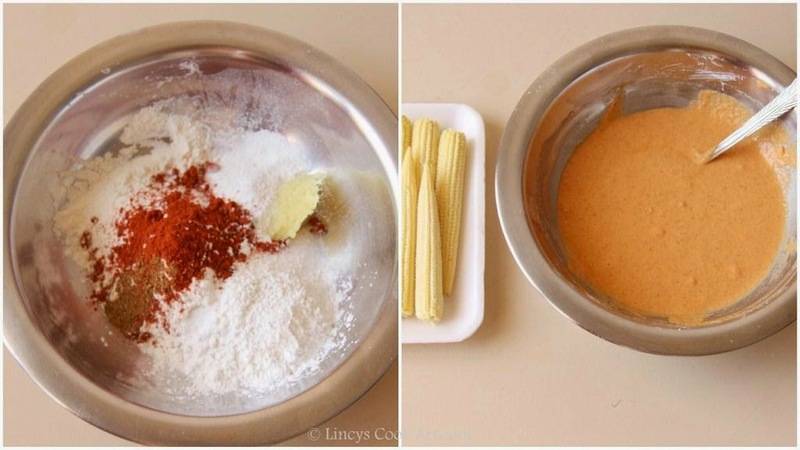 If the size of the corn is big boil them initially to half cook them then dip inside the batter and fry thm. A perfect Finger food. Serve with Ketchup or mayonnaise as a dipping sauce if needed. In a bowl take all the ingredients and dry mix with a spoon to mix all the ingredients. 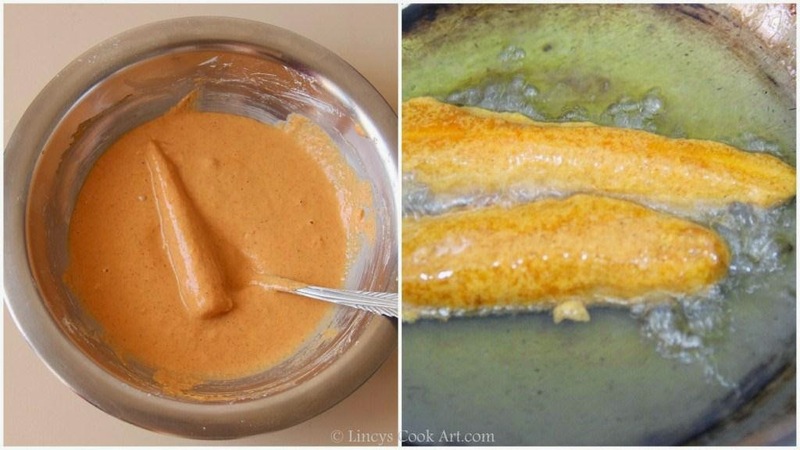 Then add water little by little and make like a thick bajji batter consistency. Dip an roll the babycorn well in the batter. Heat oil to smoking hot and reduce the flame to low and deep fry the corn till crisp on outside and deep golden colour appears. Drain them in paper towel to absorb the excess oil. If the size of the baby corn is big boil them to half cook them with little salt and dip inside the batter and fry them. I love the little dip pots! Pinning. Looks very inviting and yummy!! Fantastic appetizier, a crowd pleaser definitely..